A thorough, intuitive chargeback report transforms an influx of financial information from a bunch of random, abstract figures into concrete, actionable data. But with so many variables that are subjective and open to interpretation, creating an understandable report can sometimes seem like more of an art than a science. Using the right tools, however, chargeback reports can be an invaluable source of information and a key component of chargeback management and risk mitigation. What Information Is Available From a Chargeback Report? A single chargeback can involve a lot of raw data including communications from banks, transaction documentation, and all the various monetary amounts involved. If merchants create their own chargeback report, the value of the information will depend on the amount of effort dedicated to data collection, organisation, and analysis. Most businesses don’t really have the time or resources to invest in extensive data collection and analysis, which means incomplete, ineffective self-reporting. A well-compiled chargeback report should track transactions, chargebacks, representments, pre-arbitration chargeback data, and more. When done properly, merchants can interpret the chargeback report data to detect patterns and evaluate risk. That’s why merchants can get much more value out of their effort by working with a professional chargeback manager. 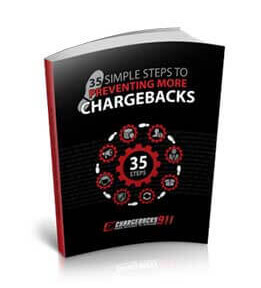 How Can Merchants Use Chargeback Reports to Their Advantage? Ongoing data review is essential, even though analysing statistics would probably rank low on most business owners’ list of favourite tasks. Compiling and analysing chargeback reports is usually the most efficient—and sometimes the only—way to keep risk under control. For example, customer satisfaction is a key component of successful chargeback management. Thus, merchants need to understand how their business practices factor into the consumer’s actions. A chargeback report will help identify customer service problems, enhance sale conversions, and increase revenue. Of course, how the information in a chargeback report is used largely depends on what information is there. By creating their own report, merchants focus on just the information they deem useful. This technique produces a concise, easily understood record…and also makes it easier for relevant results to go unnoticed. But with so much information available, why would a merchant choose to look at a select subset and ignore the rest? In some cases, it's a matter of too much data; more than the merchant has the time or resources to fully digest. In other cases, merchants may not understand the data or realise its relevance. They may not recognise that seemingly unimportant data might be influencing the report in indirect ways. This highlights one of the key benefits of working with a professional chargeback manager: in most cases, a manager will have a team who sifts through all of the data, cross-referencing and analysing the information as a whole, and filtering it down into a precise, actionable data set. 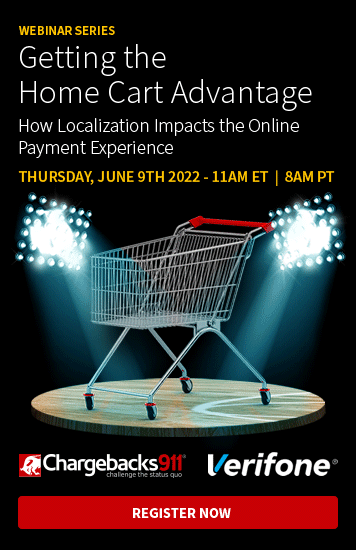 Chargeback timeframes for merchants were already relatively short, but the new Visa Claims Resolution initiative cuts response times even more. Every part of the dispute process has a built-in merchant deadline, so having access to the most current data is a necessity. The timeline for filing a chargeback dispute, for example, gives merchants as few as five days to respond, which doesn’t leave much chance to carefully analyse the situation. Chargeback ratios are calculated monthly; merchants with dangerously high ratios don't have the luxury of waiting for a quarterly report. It is absolutely essential for merchants to routinely review their chargeback reports and be aware of threats as they arise. For that to happen, merchants need access to daily, monthly, bi-monthly, and quarterly reports that clearly illustrates up-to-date results. The Chargeback Company® provides clients with a month-to-date report that lets merchants monitor their chargeback ratio and review other essential data in near-real time. Experience shows that chargeback management demands a dynamic approach. The only way to adequately address a merchant’s needs is to understand even the minute details of the business’s chargeback activity. Trying to manage chargebacks without a reliable data resource is like trying to day trade without watching stock reports. You might get lucky, but it will most likely be a fruitless endeavour. Chargeback reports are an essential tool for mitigating risk and creating a sustainable business. But convoluted, confusing, inaccurate, or out of date reports could prove even more harmful. Even worse, trying to combat the wrong problem based on insufficient or overlooked data could increase risks and costs and escalate an already bad situation. At The Chargeback Company, we make sure you have the data you require but aren’t overwhelmed by the information you don’t need. If you’d like to learn more about our chargeback reporting system, let us know.